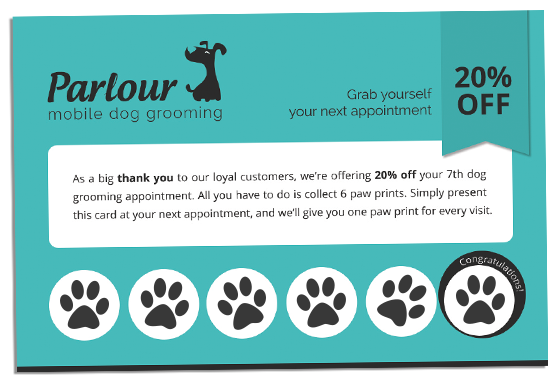 As a big thank you to our loyal customers, we’re offering 20% off your 7th dog grooming appointment. All you have to do is collect 6 paw prints. Simply ask us for a loyalty card and present it at your next appointment. We’ll give you one paw print for every visit. Please answer this quiz with a single number 1+3=?